Look who showed up on our dock at sunset yesterday! 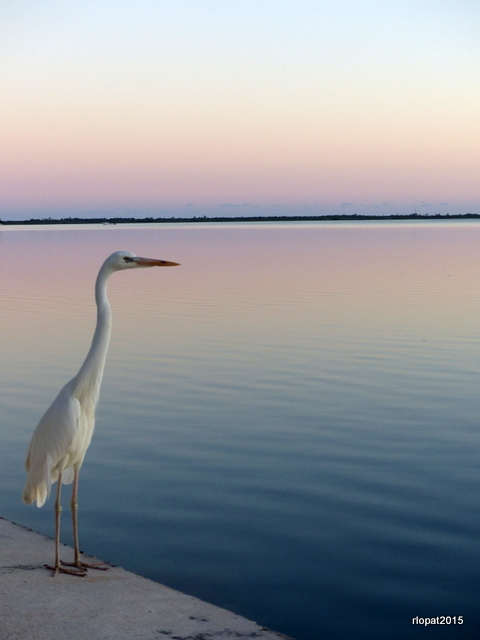 The Great White Heron (which is a white form of the Great Blue that we see in the north) can only be found in the lower Florida Keys according to the US Fish & Wildlife Service. Of course, a local Florida website disagrees with the Feds’ geographic assessment, but those nice Audubon folks have tried to clear up the confusion. Does the white turn blue or not-I still don’t know but this Queen Bee thinks that claim sounds highly unlikely. Anyway, if you are interested in herons and egrets, check out the Heron & Egret Society website. Audubon art and literary references. Nice! 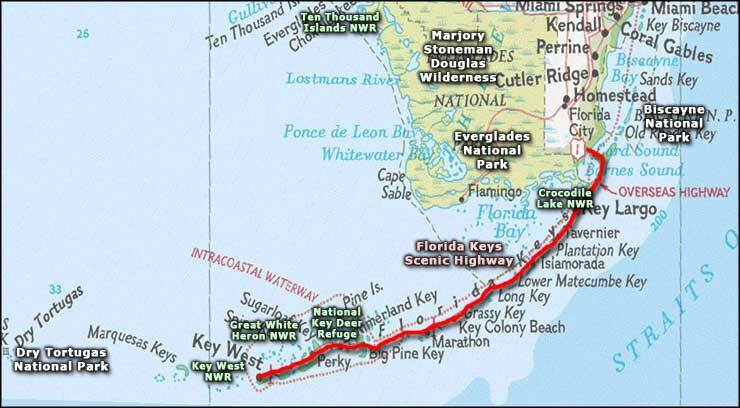 The house we rented is near the 200,000 acre Great White Heron National Wildlife Refuge, which includes lots of boat-access-only islands that provide “critical nesting, roosting, wading and loafing habitat” for 250 species of birds. Loafing? Do birds loaf? Are there special couches? The Great White Heron NW Refuge was dedicated because the heron was threatened with extinction because so many Victorian matrons (yes, including those from Chicago) wanted to adorn their hats with the heron’s feathers. If you want to get totally grossed out, check out these photographs of women’s hats dating from the 1900 era. It is claimed that a single order of plumes in 1892 required killing 192,960 herons. has taken its laborious stand. I could not reach it even in dreams. over the rocks, and set out. quick in the live tapestry of the leaves. he is a bit of drift hung dead above the water. I might be a tree for all the fear he shows. Fabulous photo—and good info too!! !